When it comes to having a bachelor party, Minneapolis can offer so many different things for a fun night out. We all know what the traditional bachelor party involves. Those things can also get the best man and the groom in trouble with the bride. Don’t take the chance of being, “the guy who ruined our wedding”. Instead, be the guy the bride and the bridesmaids rave about. Plan a paintball outing at Minneapolis’ bachelor party headquarters, Splatball Indoor Paintball! We’ve been hosting the best bachelor parties in Minneapolis for more than a decade. Our location is convenient to all areas of the Twin Cities, making paintball an easy stop for your bachelor party. Not only do we provide all the rental equipment needed to play paintball, we also offer camo jumpsuits that you can change into to keep your clothes clean and ready for a night on the town. Planning a bachelor party with us is easy. There is no minimum number of players required and no deposit is necessary. You can book your bachelor party online using our online reservation system. Additional information about bachelor party reservations can be found on our reservations page. For smaller groups, or groups that want to play with a larger group of players, walk-on sessions are also available daily. We also offer a private field option for groups that would prefer to play paintball amongst themselves. These options are just another reason why Splatball is the best choice for bachelor parties in Minneapolis. Still have questions about planning the ultimate paintball bachelor party? Give our party specialists a call at 612-378-0385 and we’ll help you out. We can also answer any questions you may have about Splatball and the booking process. 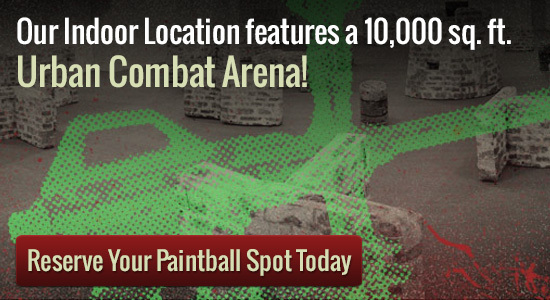 Looking for other great bachelor party destinations near our Minneapolis indoor paintball facility? Check out some of our favorite spots. Psycho Suzi’s is many things — a hideout for shady characters, a rest stop on the road to oblivion, a desination for bachelorette parties and nefarious conspiracies alike. But mostly it’s an updated tiki bar for a crass and cynical age, a running gag that never needs a punch line (but could definitely use some rum-spiked punch). Psycho Suzi’s not edgy enough for you? Check out Donny Dirk’s. It’s the only place in Minneapolis that’s guaranteed to be zombie free. This one probably ranks as one of the worst bachelor party ideas, but why not prove marriage is forever by getting the bachelor his own tattoo to remember an epic night on the town? It went well for the guys in The Hangover. Saint Sabrina’s offers only the finest tattoos in Minneapolis.